FREE INSTALLATION PROMO LIMITED TIME OFFER $199 VALUE! 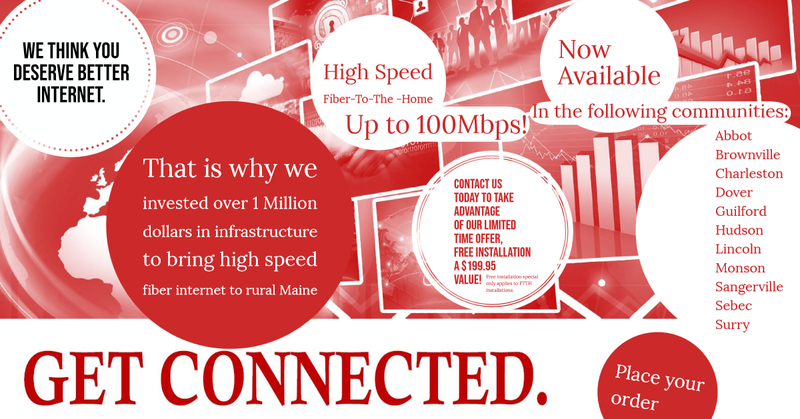 Bringing fiber to Maine, one community at a time! Our fiber internet service is the most reliable internet service we offer, with data transmitted at the fastest possible speeds. This service is currently available to residents in Surry, Lincoln, Abbot, Charleston, Hudson, Brownville, Dover, Monson, Sebec, Guilford, and Sangerville. We are currently laying cables for customers in Dexter, Greenville, Greenville Junction , and Atkinson. Premium Choice offers a true fiber-to-the-home product, with fiber optic cable running to your property. Some competitors will only run fiber lines to your street, and complete the connection into your home with an inferior copper cable, or equivalent. If you are interested in us rolling out fiber in your area, please feel free to fill in this survey to let us know where to go next.